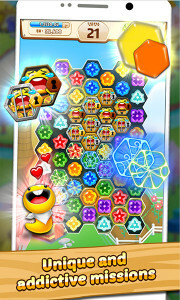 Inspired by famous ‘Candy Crush Saga’ game, Honeyday Blitz 2 is a well-executed casual game that does a good job of keeping your thumb sliding across the screen. Honeyday Blitz 2 is released worldwide on 27 July 2015 by Ludens Entertainment Co., Ltd. This game easy to play and even easier to get addicted too. 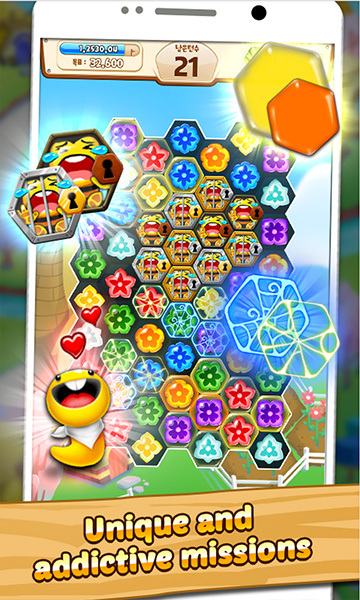 The main goal is to swap and match 3 or more flowers together to get high scores and awesome powerups to help you get through the game. 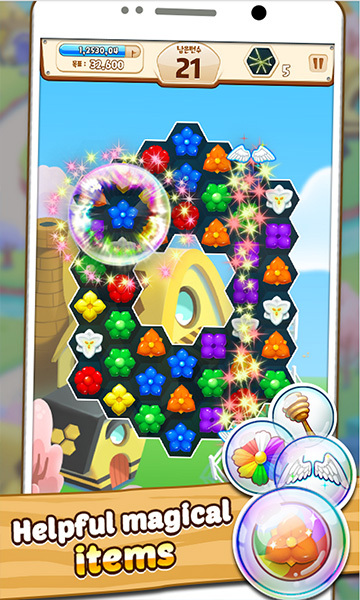 To accomplish an episode, you will need to meet the Target Score or complete the mission that can be seen before you enter the episode. 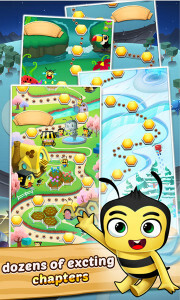 The game uses Stings that serve as your life in order to play an episode. If you ran out of Sting, you can always buy one using Gold! The puzzles are not always easy as well. It’s not nearly as cynical as I expected, but there’s little chance for strategy and games bounces wildly between stupidly easy and frustratingly hard. 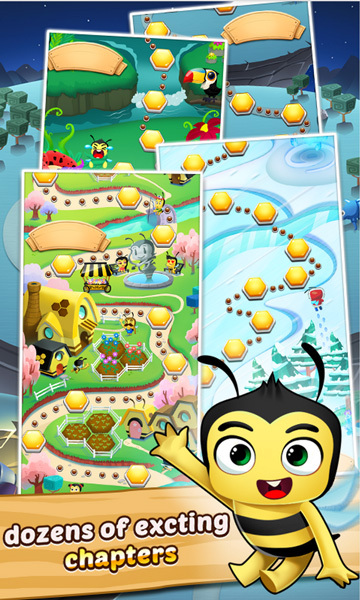 As you go through different Chapters and Episodes, you will come upon much harder episodes like removing spider webs for your family and helping free the bee’s friends in prison! Pretty exciting huh? Sweets do seem to inspire greed, don’t they? 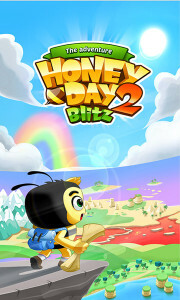 But so sweetly addictive Honeyday Blitz 2 is that we’ve struggled to keep our distance and that’s what makes it one of our choice apps. 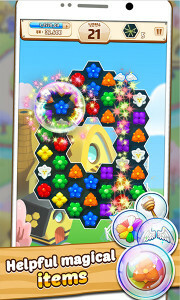 Ludens Entertainment Co., Ltd., is a Korean company who’s goal is to give entertainment to everyone through their games.